If the stunning beaches and year-round dreamy weather of Phuket aren’t enough to sway you – like a palm tree in the breeze – towards a holiday on its pristine shores, then this fabulous deal might! Starting from only £779 per person, it’s been slashed by a massive £456, and includes accommodation by the beach and your return flights! Kata Thani is a four-and-a-half star hotel in Kata in southern Phuket. 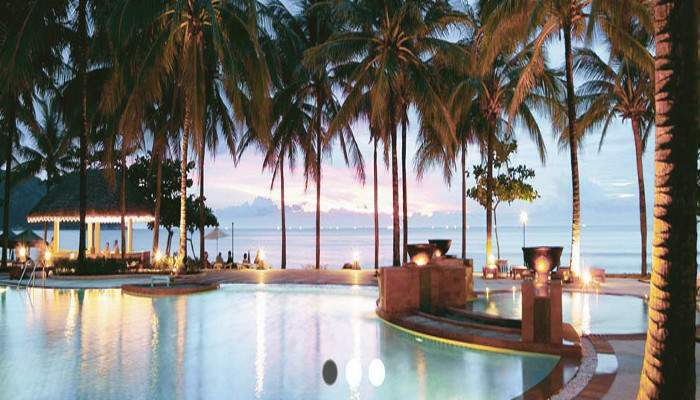 It’s nestled on a pristine white sandy beach and boasts gloriously luxurious grounds with a choice of swimming pools. Dine at a choice of six restaurants, including Thai, Italian and Mediterranean, and treat yourself at one of the two cocktail lounges! Phuket offers a rainbow spectrum of holiday delights, from blue lagoons and pink dappled sunsets to orange-robed monks, sparkling translucent waters and a reputation for knowing its way around the art of luxury. As for the beaches? Well, there’s a reason THE film about beaches was based in Thailand! Travel in Selected dates in May and June 2014! We suggest hopping over there to snap it up! Phuket, why not?